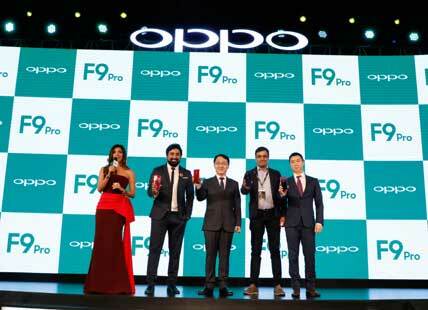 New Delhi: OPPO, The Selfie Expert, today announced the latest addition to its popular F-series – OPPO F9 Pro. With 5 minutes of VOOC Flash Charge one can get 2 hours of talk. It also sports industry’s first Gradient Color Design. The F9 Pro has been designed to offer a unique experience and represent OPPO’s technologically advanced and innovative expertise. Priced at INR 23,990, OPPO F9 Pro will be available in gradient color combinations – Sunrise Red, Twilight Blue and Starry Purple. It will go on sale from 31st August 2018 across all offline and online partners and the pre- order will begin on 21st August 2018 exclusively on Flipkart. Besides the gradient color design, the F9 Pro screen is also beautiful and appealing. OPPO has always believed that a smartphone is not just a tool for communication but also a piece of art. The screen occupies almost all of F9 Pro front except for a small droplet at the top due to which it’s called the “Waterdrop Screen”, inspired by a water drop.